One of the things that makes Goshen great is our nearness to other vibrant communities. From educational to recreational opportunities – to say nothing of shopping and dining – our neighbors have it all! Want to see? Join us on five themed “day trips” within a half-hour drive of Goshen. Learn about Elkhart at Ruthmere Museum. 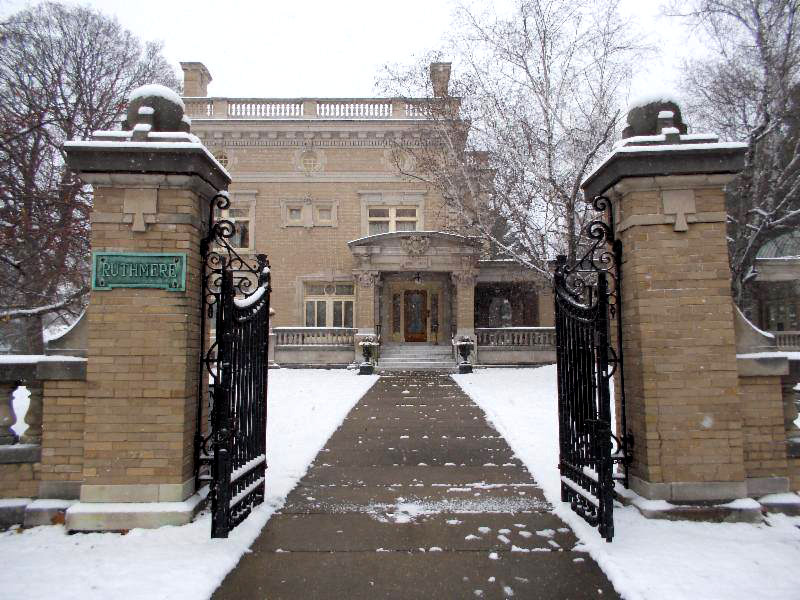 The Ruthmere campus includes a historic home, art collection, and performing arts venue. While you’re there, take the Kings of the Hill walking tour to learn about how the early Elkhart industrialists lived. In the mood for scenery and a stroll? 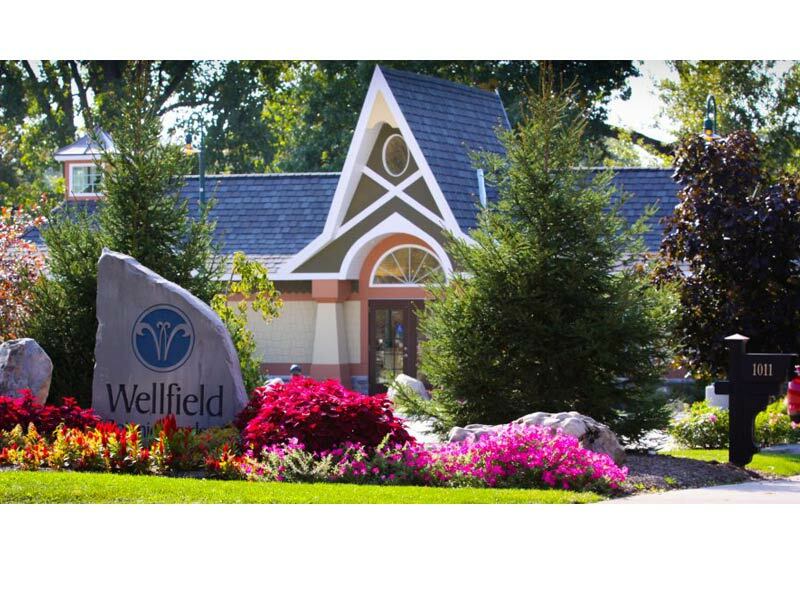 Check out the Wellfield Botanic Gardens along North Main Street. 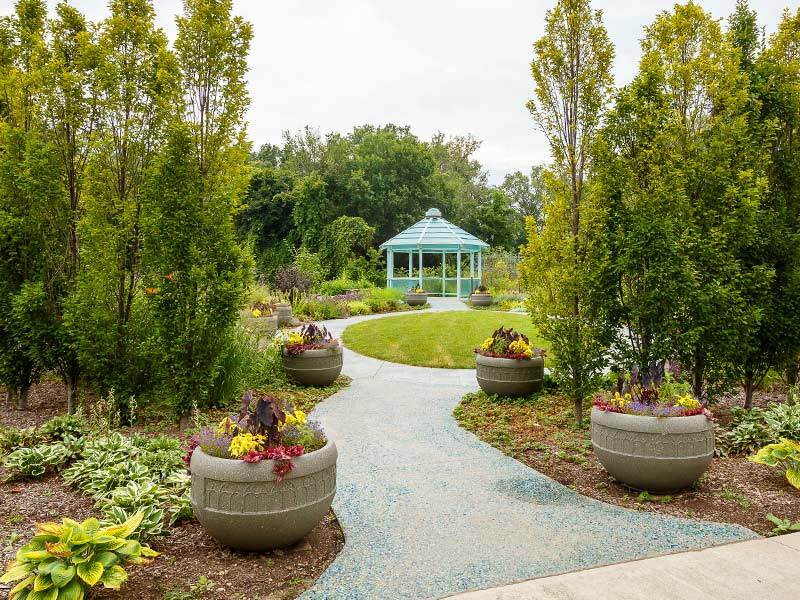 This restorative, beautiful landmark has 36 acres and more than 20 individual gardens, including the Waterfall Garden and the Adventure Path. After all that walking, you will be hungry. You will also be in luck, because Elkhart is home to exquisite dining experiences. 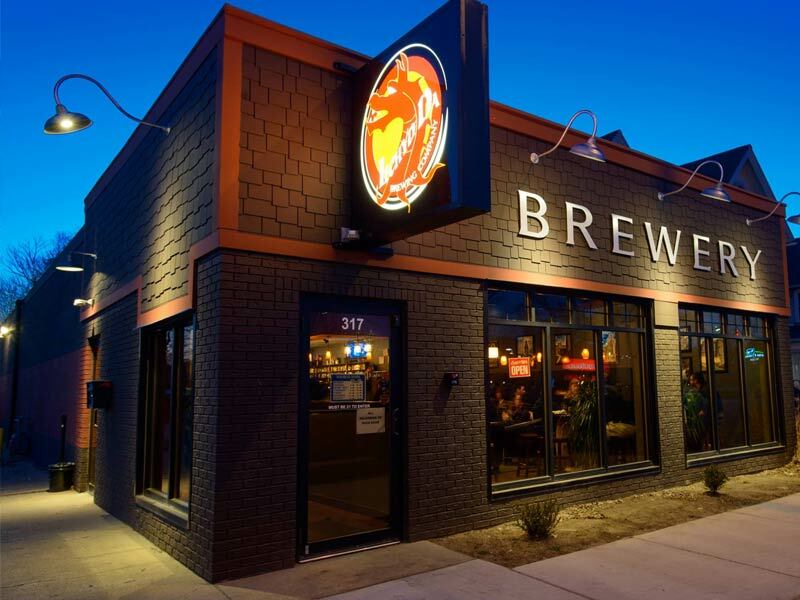 Have a brew and a bite at downtown’s Iechyd Da Brewing Company or 523 Tap & Grill. If you’re in the mood for an Italian-style feast, enjoy the entrees at Michael’s Italian Restaurant, family-owned and operated since 1917, Antonio’s Italian Ristorante, or Lucchese’s Italian Restaurant. 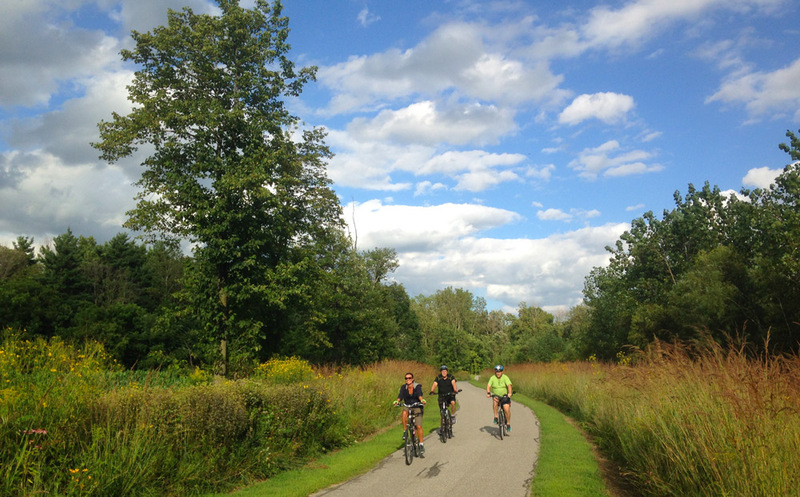 Bikers zoom down the Pumpkinvine Nature Trail, which connects Goshen to Middlebury. The Pumpkinvine Nature Trail is a scenic regional treasure, a former railroad right-of-way revitalized as a linear park. The bike/pedestrian trail connects Goshen to Middlebury, and all the things our neighbor to the north has to offer. Ride the ’Vine to Middlebury’s Krider “World’s Fair” Garden, originally designed for display at the 1933-34 World’s Fair. Middlebury is also home to its own network of bike trails, one of which extends to Das Dutchman Essenhaus, a folksy attraction ideal for shopping or hearty dining. Leave room for the Essenhaus’ famous pies! When you’re done biking, hop in your four-wheeled ride a take the trip to Dutch Country Market, a gift shop and specialty grocery store along C.R. 16. The market has a working apiary and is a great place to buy honey. You can also watch noodles being made! You’ll soon learn that some of the neatest places are off the main drag. Middlebury’s backroads Amish experience includes Rise’ N Roll Bakery and Deli, a place with seriously scrumptious baked items. You won’t forget the doughnuts. Ever. Bonneyville Mill Park offers a rustic look at Bristol’s yesteryear. One of its highlights of the 223-acre park is the working grist mill that’s open from April through October. Have a picnic in one of the park shelters, or go for a stroll on the park’s seven miles of hiking trails. And don’t forget to bring your two-wheeled transportation to go exploring the park’s five-mile mountain bike trail. The St. Joe River winds through Bristol, and you can explore this waterway by watercraft. 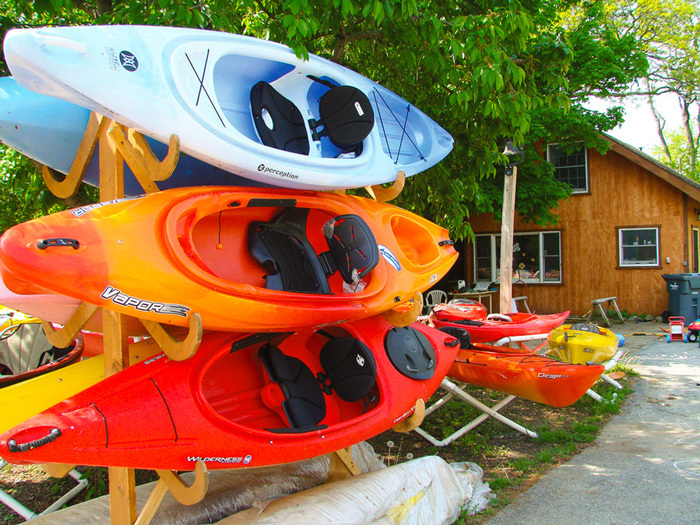 Stop by Bristol Canoe & Kayak, 402 Mottville Road, to rent what you need. As a bonus, the friendly folks there will drop you off and pick you up! Bristol’s outdoor experience is a near-perfect way to make memories with your family. If by chance you’re traveling without the kids, why not enjoy a taste of locally produced wine at Fruit Hills Winery & Orchard? It’s located just south of Bristol on the Judson Fruit Farm, which has been in the owner’s family since 1852. Kayaks sit primed and ready for riders at Bristol Canoe & Kayak. Photo provided by the Elkhart County Convention & Visitors Bureau. 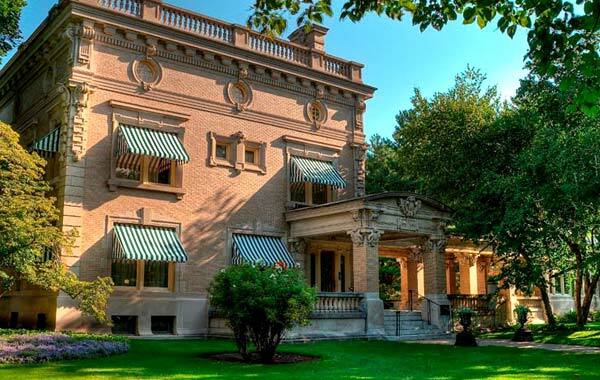 The stately Ruthmere mansion is the most historic residence in Elkhart, Indiana. Amish craftsmanship coupled with community heritage makes Nappanee a unique destination. Start off by visiting Coppes Commons, a former kitchen cabinet manufacturer repurposed into shops offering locally made, handcrafted items, along with fresh baked goods. It’s a history lesson and a one-of-a-kind shopping experience. It’s easy to shop locally in Nappanee. There are more than 200 shops in the Nappanee countryside, with crafters offering woodworking, leather goods, woven rugs and so much more! A map of the countryside shops is available here. Looking for something old that’ll be new to you? Nappanee is home to several antique shops, including Antiques on the Square, and Dutch Lady Antiques. If the antique fever is still burning back home in Goshen, visit Goshen Antique Mall along Main Street. The shop features items from nearly 40 dealers and is listed on IndianaAntiqueTrail.com. 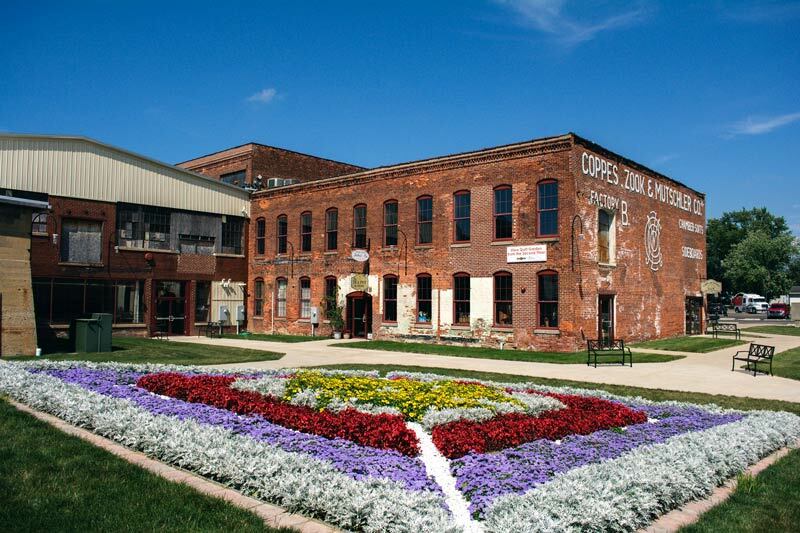 Originally the factory that manufactured the famous “Hoosier cabinets”, Coppes Commons is now a shopping center offering locally made and handcrafted items.